Hero Doc Transforms This Pitiful Kitten Into A Carefree Cutie! admin December 21, 2018 December 21, 2018 No Comments on Hero Doc Transforms This Pitiful Kitten Into A Carefree Cutie! Recently a tiny ginger kitten arrived in desperate need of Vet Ranch’s help. 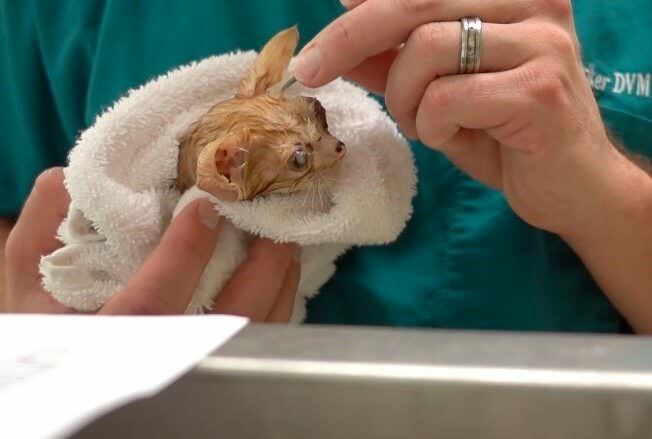 He was undernourished, dehydrated, covered in fleas and suffering from a terrible infection in his eyes. When you’re having a rough day, think about Mr. Peepers. I had to remove his 2 rotten eyes yesterday, and today he’s purring and loving on everyone. Little fighter!!!!!!! 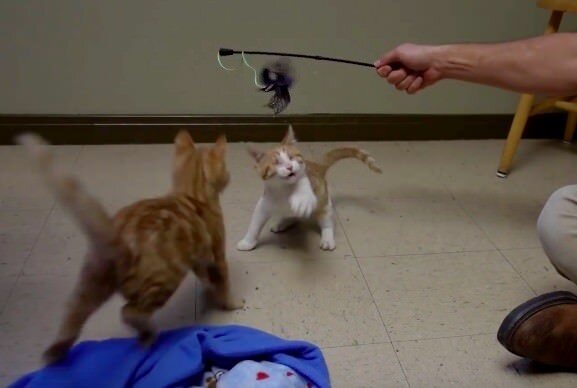 The first step to helping the dangerously ill kitten – named Mr. Peepers because of his eye condition – was to get some nourishment into him and rid him of the fleas. Dr. Matt lovingly bottle-fed him and bathed him with dish soap to strip away the parasites. The devoted vet even brought Mr. Peepers home overnight for some extra TLC! After several weeks of “growing him up” with lots of food, antibiotics and snuggles, Dr. Matt was ready to perform surgery to remove Mr. Peepers’ irreparably damaged eyes, preventing further pain and infection. **Warning: This video contains brief images of surgery around the six minute mark. If you’re squeamish, just zip on through that part. The ending is not to be missed! As you can see, Mr. Peepers may be blind but he certainly isn’t letting it slow him down! Thanks to Dr. Matt and his team, he will be able to enjoy a perfectly normal life with whoever is lucky enough to adopt him! The Vet Ranch docs are able to perform their incredible acts of kindness thanks to donations from animal lovers across the world. Consider making a contribution and be sure to tune in to YouTube for more inspiring videos! How Do Your Cat’s Senses Compare To Your Dog’s?